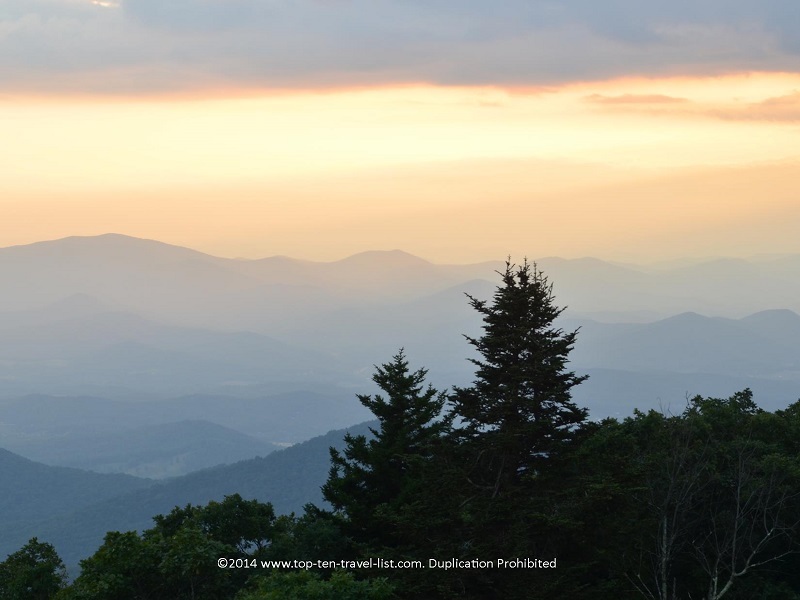 Brasstown Bald: Georgia's Highest Mountain - Top Ten Travel Blog | Our experiences traveling throughout the US. At 4784 feet, Brasstown Bald stands tall as the highest point in the state of Georgia. 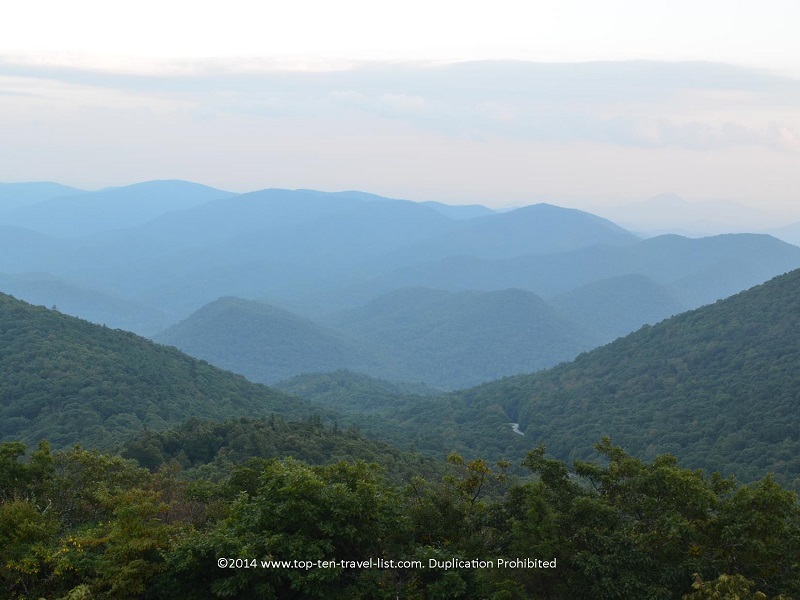 The mountain is located in Chattahoochee National Forest and is part of the scenic Blue Ridge Mountain range. The observation tower provides gorgeous panoramic views of the area. From here, you will be able to take in the amazing scenery of 4 different states: Georgia, Tennessee, North Carolina, and South Carolina. It’s one of the best locations in the area for incredible photo opportunities of the Appalachian mountains, as well as a prime spot for fall foliage. Great views of the Smoky and Blue Ridge mountains. In addition, on clear days, you can see all the way to the Atlanta skyline. 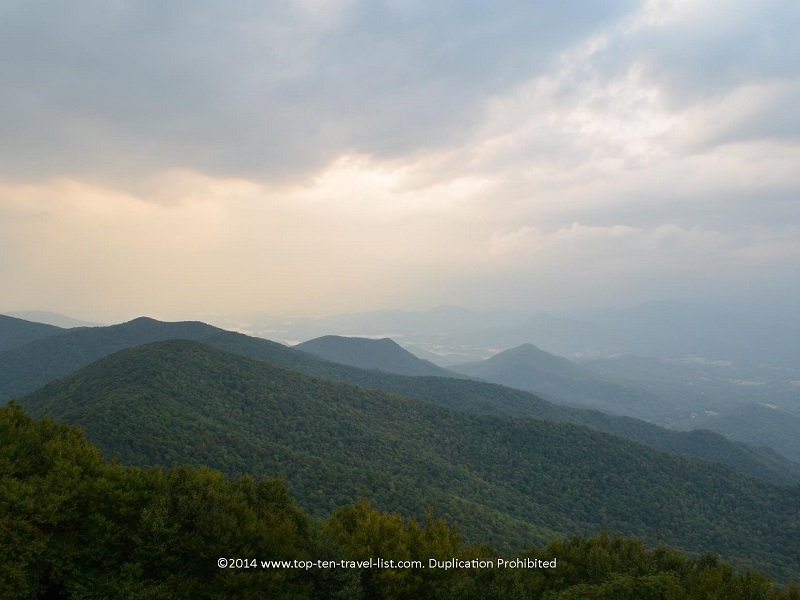 There are several options for getting to the summit including: 3 mile long Jack’s Knob Trail, the 5.5 mile long Ankaquah Trail, and the most popular option, the 0.6 mile Brasstown Bald Summit Tail, a paved path from the Visitor’s Center parking lot (you will drive up most of the mountain, than park and take the short, yet steep trail to the summit). Those who are not up to hiking at all, can take a shuttle up to the summit. To get the true experience, I recommend hiking over taking the shuttle. It’s more fun and challenging, in addition to being very scenic in itself. Not to mention walking up and downhill for a mile is a great lower body workout! The downhill climb is much easier than the uphill portion, so you should have no problem on the return journey. Spring and fall are the best times to visit. Although summer is still a great option as temperatures are much cooler than surrounding areas(it is usually 5-10 degrees cooler), making it a great place to escape the heat! Fall is the most popular time to visit due to the beautiful fall foliage covering the Appalachians. Photography opportunities abound year-round, however, fall would provide the most colorful, dramatic views. This is also the best season weather wise in my opinion. Our hike was wonderful: upper 50’s and slightly overcast with a light refreshing wind. Both sunrise and sunset are great times to visit. You may want to plan both a morning and night visit to experience the different settings. We visited at sunset on a partly cloudy day, which provided the ideal setting for photography. 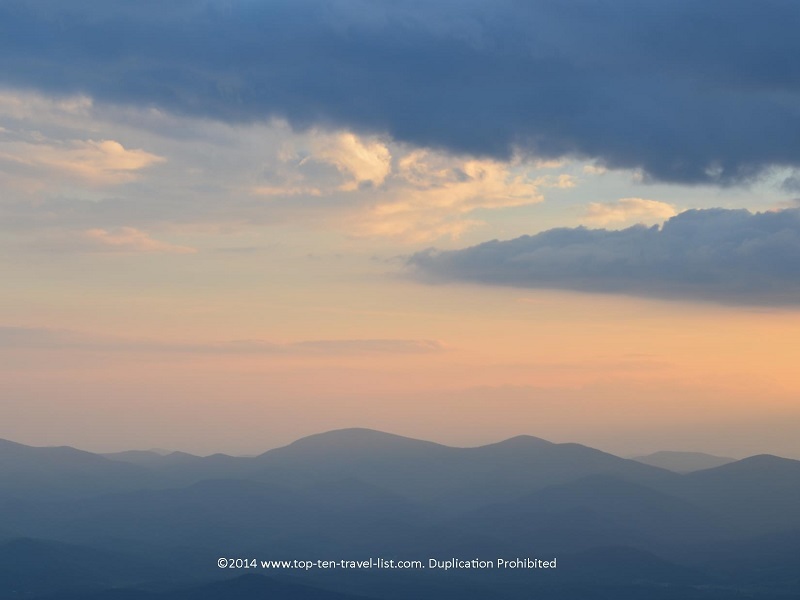 Be sure to plan a trip to Brasstown Bald on your Northern Georgia vacation. Whether you feel like taking a long hike or a short one, or even just taking a shuttle up to the top, you are sure to be pleased with the breathtaking views. A truly beautiful place. I will definitely be back some time during the incredible fall season! 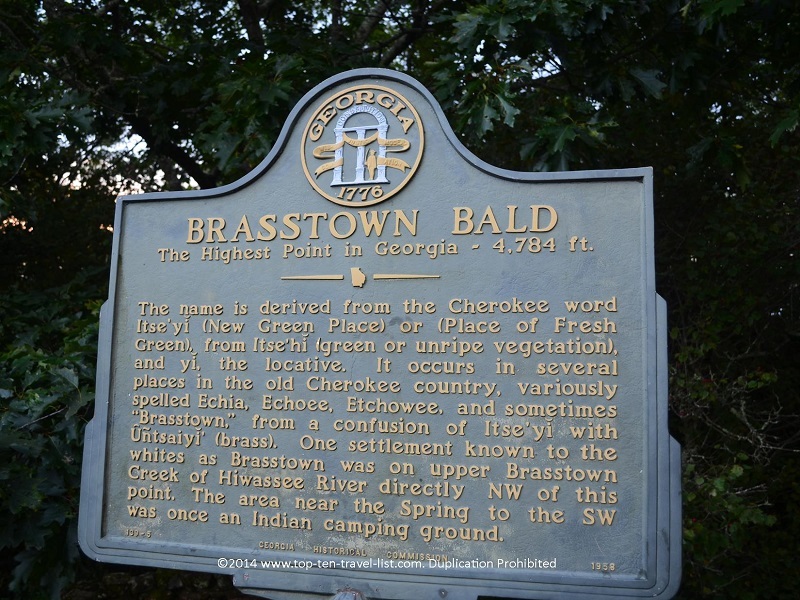 Because there is no physical address for Brasstown Bald, it is recommenced that you enter the following longitude and latitude coordinates into your GPS: N34.847894, W83.798567. 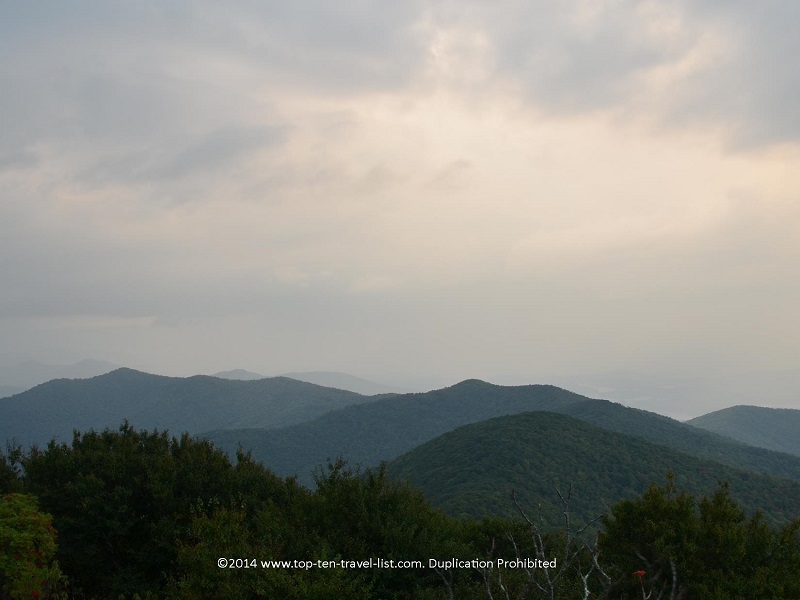 The mountain is located at the intersection of Highway 180 and Spur 180 near Blairsville, GA. 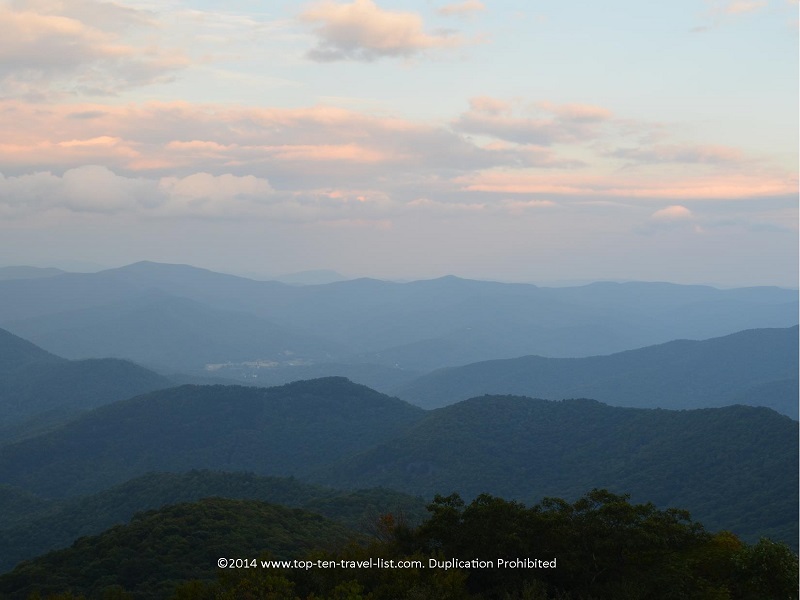 It is about a 45 minute -1 hour drive from Blue Ridge. 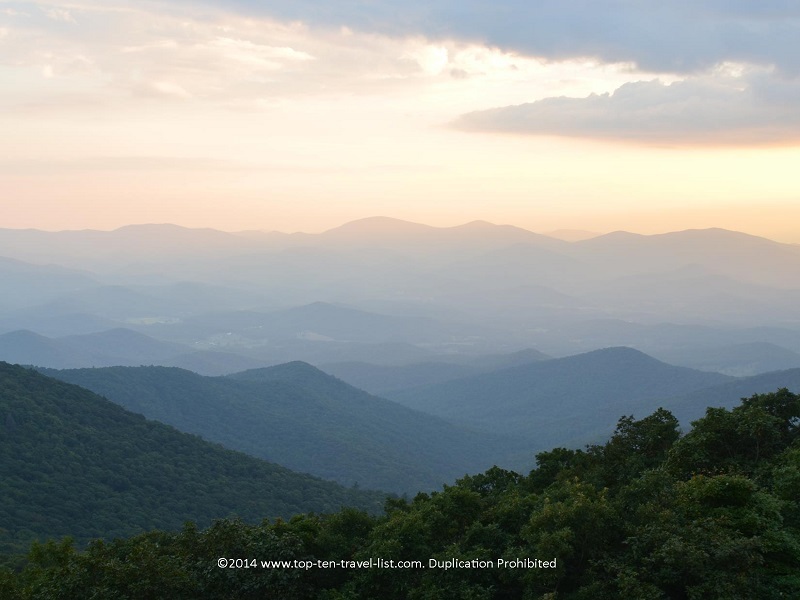 Visit the Brasstown Bald website for a map and more detailed directions. There is a $5 admission fee which includes both parking and the shuttle. If you arrive after 5:00, the price is reduced to $3. 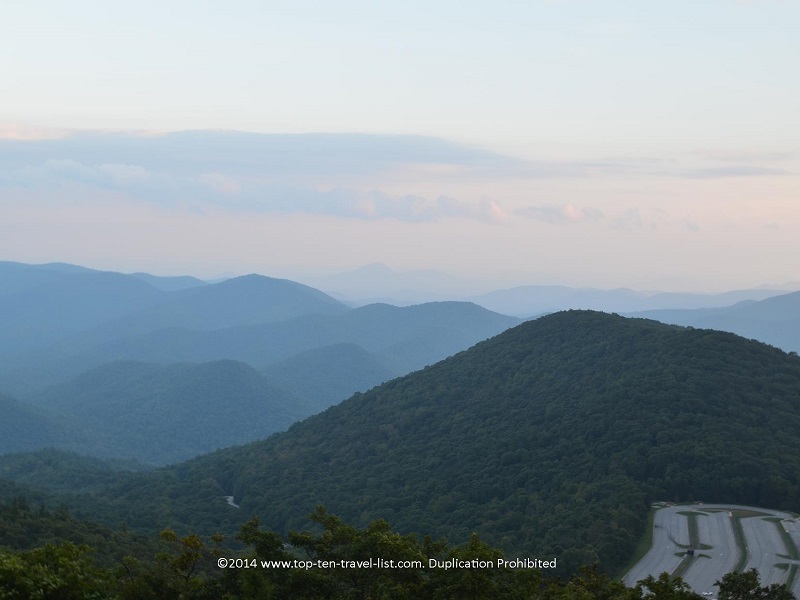 Brasstown Bald is open 24 hours a day. The visitor’s center is open April-November, 7 days a week from 10:00am-5:00pm. Hours vary during the off season. The visitor’s center includes a gift shop and short movie about the mountain.